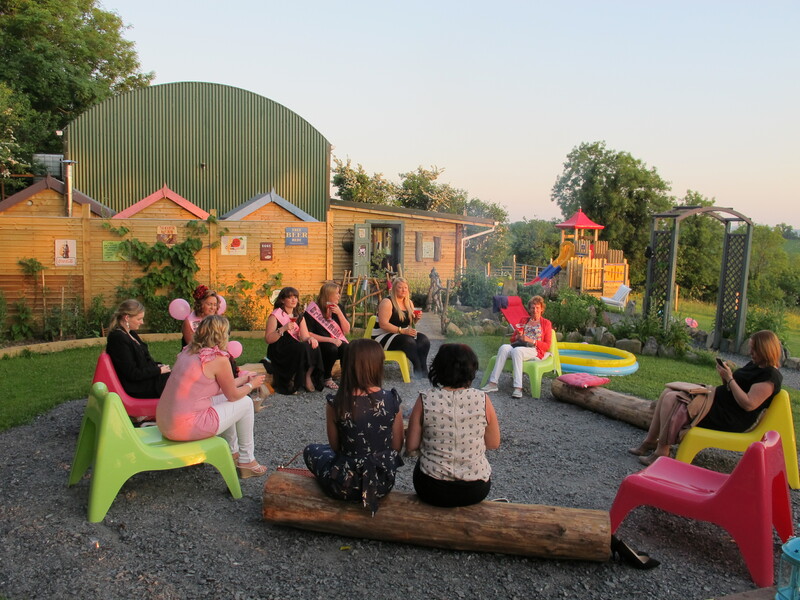 We are a more chilled out glamping site for groups who want to have a fun & unique experience. 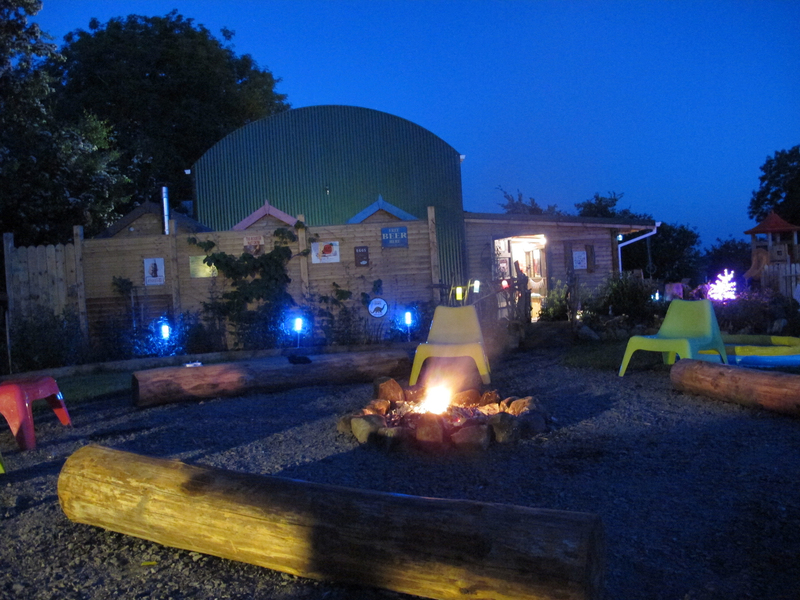 Enjoy the atmosphere of a crackling fire while melting marshmallows and all that glamping has to offer. We will provide all the wood for the camp fire and look after it for you. 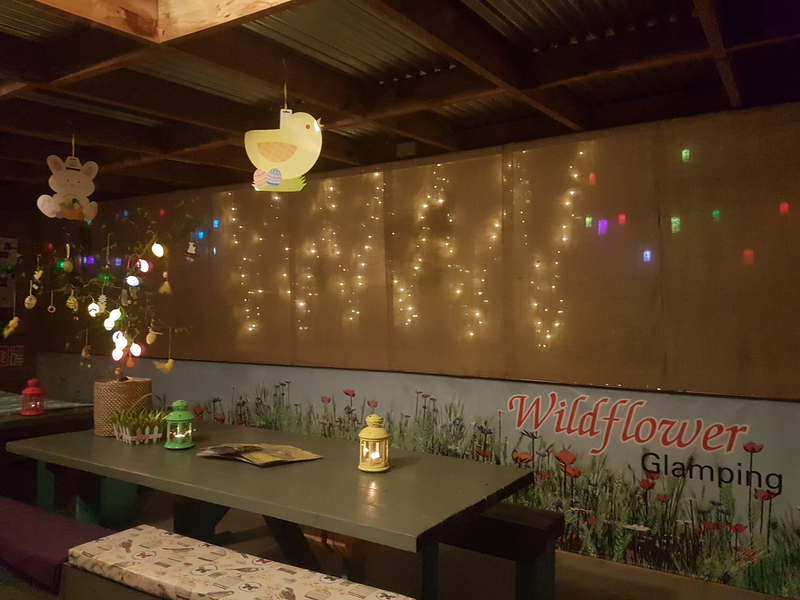 At Wildflower Glamping we offer a One night and Two-night Package. 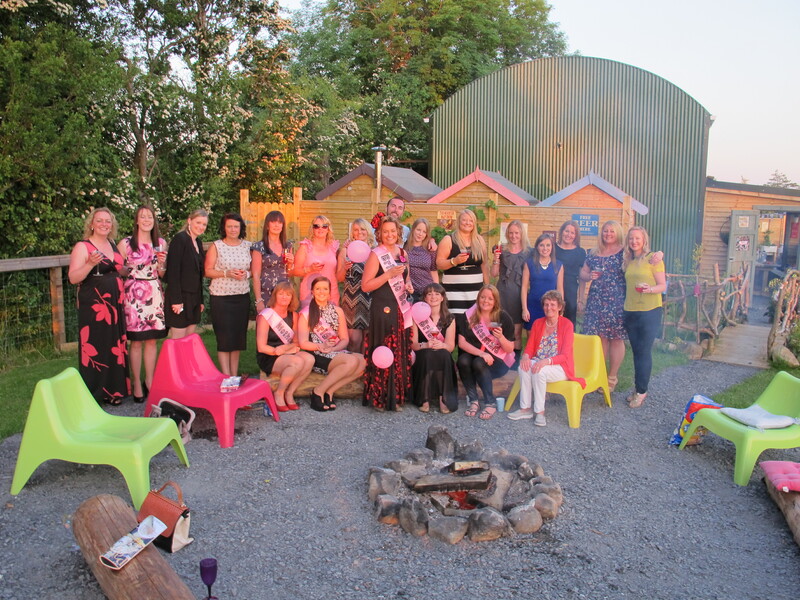 Our hen parties get exclusive access to the glamping site. 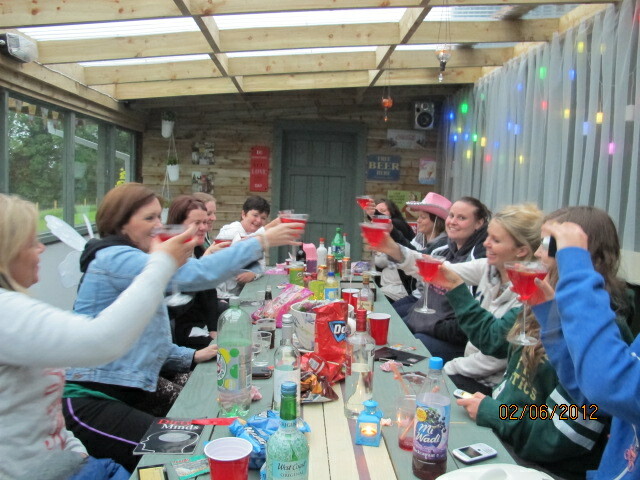 We don’t mix families and hen party bookings. Enjoy a glass of Champagne with Strawberries on arrival. Why not do some activities during your stay? If you’re into pampering we recommend the Riverside Spa in Stradone who offer great group packages or the Farnham estate Spa. 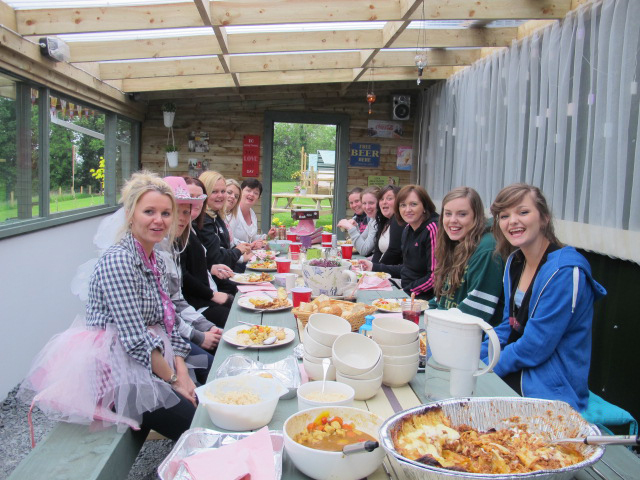 If your more into outdoor activities there is plenty to choose from Canoeing & Games to Bog jumping in a pet farm. Contact us for full details of these activities. Don’t! All our accommodation units come with heating and hot water bottles. 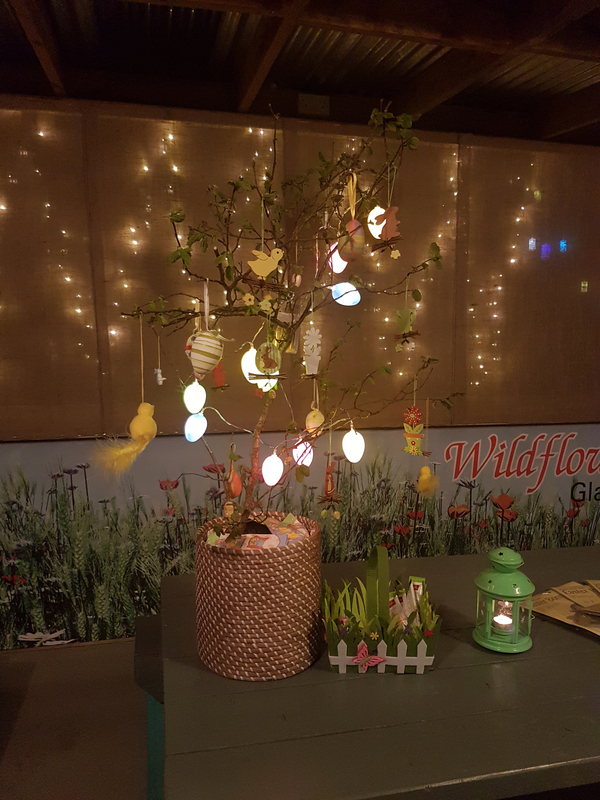 We have an indoor party area with plenty of twinkling lights and a Bluetooth speaker to connect your phone to and listen to all your music. So should it be raining you can all sit around and still enjoy your night. 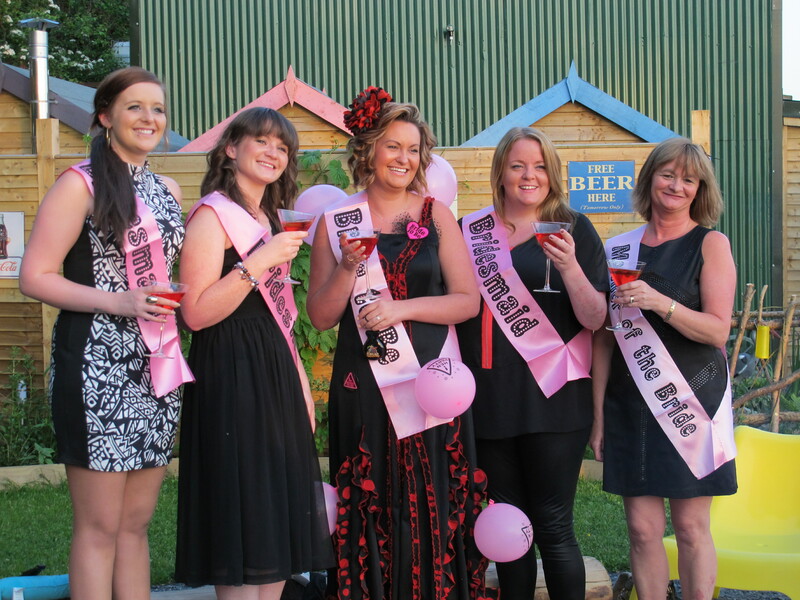 Our Two-night package includes a return mini bus into Cavan town, where most hen groups go to the Imperial bar which is a late night bar and there is usually a band on and there is also a nightclub upstairs to dance the night away. 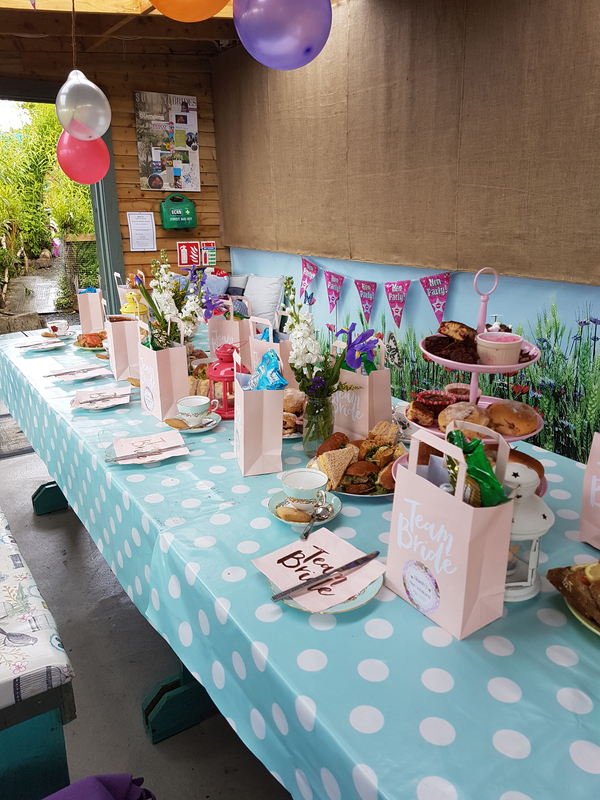 We can provide food on the evening of your choice and a breakfast on the Saturday or Sunday morning to help ease those sore heads..! Our packages are based on a minimum of 15 people up to a max of 22 people. Please contact us for full details on our One & Two night packages.